Six things we won’t miss from the demise of the Star Wars Expanded Universe (EU), and four things we will. Last year, the Holy Rodent Empire (aka: Disney), released a note on the state of its expanded universe, including games and books, comic books, etc. Everything “before” the films are still considered cannon, probably because it can’t interfere in any potential movies, all set in the future. Of course, even that may be up for grabs, and at the discretion of the Mouse. Keep in mind, this is a lot of material. Comic books, novels, audio books, and everything short of fan fiction has been fodder for this large, almost unwieldy universe that has been built up around George Lucas’ empire. But will we miss any of it? 1. The same plot recycled endlessly. If you go by the plots of the Star Wars universe novels, the Empire was the only thing holding the galaxy together. In the novels set after Return of the Jedi, almost every other novel had to do with fixing some other problem left behind because there’s a great big gaping power vacuum where the Emperor used to be. And it was every, other, freaking novel. Even the novel set the very next day, entitled The Truce at Bakura, was about a planet asking the Empire for help. Yup. Really. And, apparently, the evil Emperor Palpatine was the only one in the entire chain of command capable of independent thought. Therefore, there is literally no one else in the entire galaxy but our plucky heroes are around to save the day, despite the fact that Luke Skywalker is still suffering side effects from being half-electrocuted by the Emperor. And you thought that the USS Enterprise suffered from “the closest ship in the quadrant” syndrome. And shall we even discuss the comic book run that brought Emperor Palpatine back from the dead? A run that probably should have been entitled Star Wars: The Search for More Money. Yes, I made a Spaceballs reference in a Star Wars list. I am a nerd of many colors. 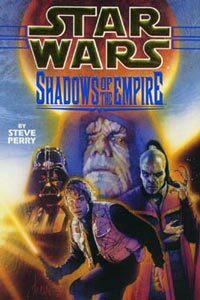 Shadows of the Empire was a novel set between episodes five and six (Empire Strikes Back and Return of the Jedi). While trying to track down the kidnapped (and frozen) Han Solo, Leia and the gang run into interference from organized crime boss Prince Xizor. There’s a chase scene going after the bounty hunter Boba Fett, the construction of Luke’s new lightsaber, an attempted power grab by Xizor, and a few other things that made no sense in retrospect. Xizor, an alien prince, wanted to replace Darth Vader as the Emperor’s right-hand thug…uh huh. First, anyone trying to replace Darth Vader is just asking for an early grave (which he gets). Second, it is revealed in the Expanded Universe that the Empire is notorious in these novels for being against non-humans within its ranks. How did Xizor expect to get anywhere? The entire project was a blatant money grab from beginning to end. 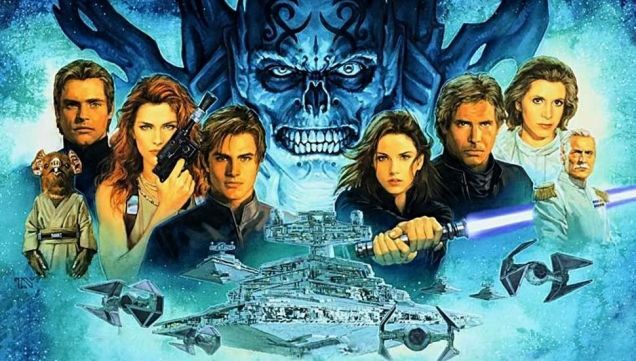 In an attempt to cash in on the success of the Heir to the Empire trilogy of Timothy Zahn, when Shadows was released, Lucas and Co came loaded for bear. The merchandising for Shadows was planned from beginning to end, with the novel, a “junior novelization,” two comic book series, a video game, trading cards, soundtrack for the game, role-playing games, toy figurines, vinyl dolls, Micro Machines toys, statuettes, model kits, and action figures and vehicles. Remember him? Don’t feel bad if you don’t. Never has so much ink been spilled over so minor a character. Wedge Antilles, the only other fighter pilot who survived the assault on the first Death Star, is probably best known as the only minor character to survive all three Star Wars films. For some reason, he developed a fan following, and the resulting series of novels around him and his X-Wing squadron got their own books. Manned with a collection of fighter pilots directly out of the Top Gun school of fighter pilot cliche`s, the series was not much more than a series of World War II dogfights. The characters were unmemorable, the physics were abominable (there’s no reason for space battles to resemble World War II dogfights), and by the time they decided to get an overarching plot (book four), I, personally, had stopped caring. The series had made it to ten volumes, which was three novels after everyone I know stopped caring. I was just ahead of the curve. Ironically, the most substantial contribution of Wedge Antilles to the Star Wars universe was not made by the character, but by the actor who played him. Actor Danis Lawson is the uncle of Ewan MacGregor, who played Obi-Wan in the latest Star Wars films. What’s that? you ask. Boba Fett? Wasn’t he that guy eaten by the monster in the desert? The one we found out in Attack of the Clones was just another clone? What about him? 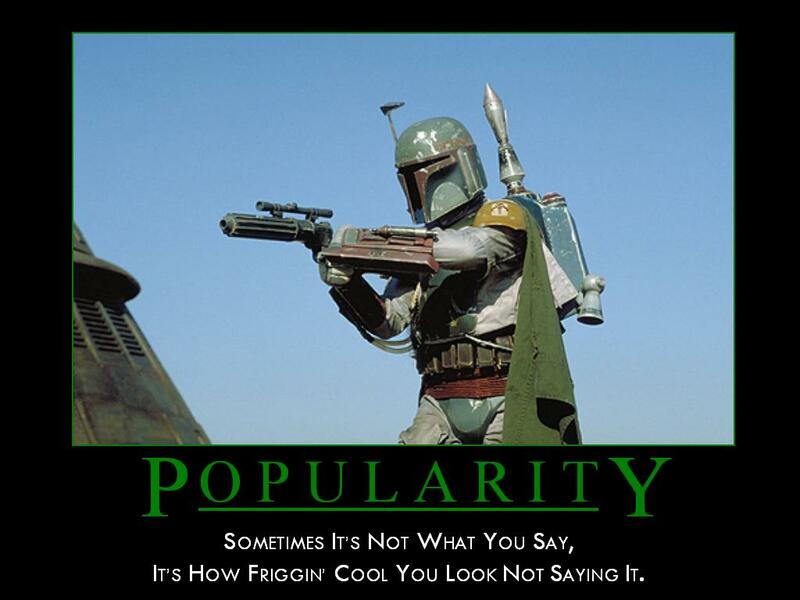 Well, in the Star Wars EU, Boba Fett is like the Wedge Antilles of bad guys. Another relatively minor character (except that, unlike Wedge, he actually impacted the plot), he developed a fan following. In the spirit of merchandising, Boba Fett had been “resurrected” in a short story anthology called Tales from Jabba’s Palace, where it was revealed that the monster (known as the Sarlaac, for those of you who don’t have the dialogue memorized) really does digest its food slowly. So slowly that Boba Fett’s armor kept him alive long enough to escape. Since then, Boba Fett’s been kicking around the expanded universe, even getting his own novels. Seriously, though, let’s just keep him dead this time. Thousands of pages of ink spilled over this guy, and he still has yet to develop more personality than The Terminator. The first one. The concept of this series is that, just over twenty years after Return of the Jedi, a new threat comes to menace the galaxy from so far away, only races on the edge of known space were barely aware of them. This is the point where it’s almost universally agreed that things start to fall apart. Characters are killed off left and right, long-term EU characters fall to the dark side, generally stupid plot and character decisions are made, and it’s basically a mess. 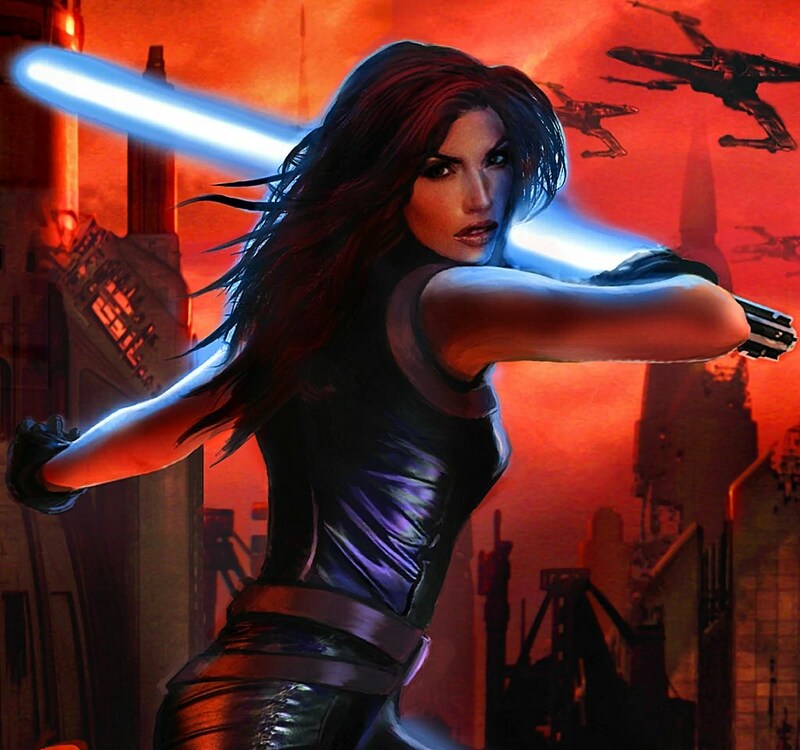 Once Emperor Palpatine’s personal assassin/fixer, known as “The Emperor’s Hand,” Mara Jade was almost an immediate fan favorite. Through her eyes, and the novels set between movies, we saw a slightly different side to the Empire, where there was a certain kind of justice, and where there were corrupt elements in the Empire that not even Darth Vader approved of. Eventually, she would marry Luke Skywalker, ending the whole concept of “Jedi Knight as Shaker” nonsense from the prequel trilogy. She was an awesome character, and almost universally loved. And she was one of those killed off during The New Jedi Order, in what is considered a generally stupid way to kill the character; an action that was done without consulting with or informing the character creator, Timothy Zahn. Also in Heir to the Empire, when Mara Jade was no longer employed by the Empire, she joined up with professional scoundrel Talon Karrde. 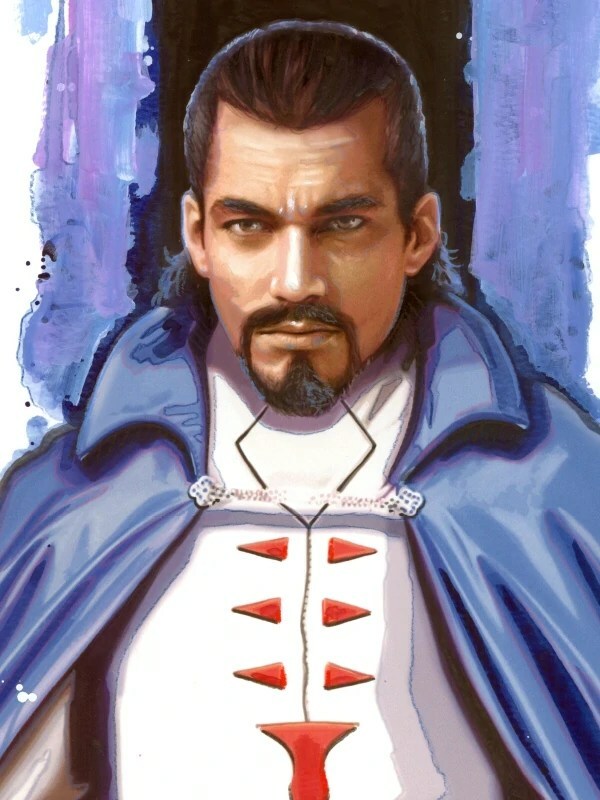 Cut from the same cloth as Han Solo and Lando Calrissian, Karrde was a pleasant, charming soul, with his own band of space pirates. Even the creator, Timothy Zahn, sometimes had trouble keeping the character in check. And Karrde was always more interesting than Captain Jack Sparrow ever could be. If you’ve caught a recurring theme in how often the Heir to the Empire trilogy and its creator are mentioned, you’d be right about that. Can you tell some people REALLY wanted Cumberbatch to play Thrawn? If you ever watched Star Wars and wondered why the Empire fell apart, it’s because no one listened to Grand Admiral Thrawn. In an evil Empire that was “human” centric as opposed to “aliens,” Thrawn was the exception. A tactical genius, Thrawn was the only non-human to become a Grand Admiral within the Empire– one of only a handful of Grand Admirals, period. After the Empire fell, Thrawn and his sidekick Palleon were the Holmes and Watson of the Imperial Military. Thrawn made deductions, out-thought and out-fought anyone who got in his way, and imposed military discipline on the empire. Thrawn even made a point of refusing to throw away the life of a single soldier on futile missions, and even insisted that Stormtroopers learn how to aim. Unlike your standard Evil Emperor, Thrawn saw the Empire as the way to maintaining order in a chaotic universe. Given that half of the Star Wars novels following Zahn’s initial trilogy were all about the rebel alliance, now called the New Republic, quelling little fires and system-wide disputes, Thrawn was right. He was such a genius that he had to be assassinated by his own bodyguard in order to stop him. 4. 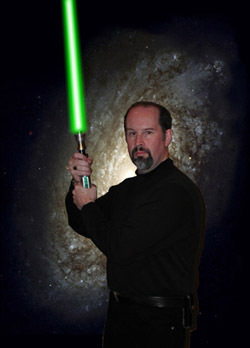 The Timothy Zahn novels. After the theme of this list, you might not be surprised that the best Star Wars novels were the ones written by Timothy Zahn. While other readers might have a few additions to the list of authors who wrote great Star Wars novels, no one can deny that Zahn put Star Wars back on the map. With his absolutely marvelous Heir to the Empire trilogy, he created Mara Jade, Talon Karrde and Thrawn, introduced actual military strategy and tactics to the Star Wars Universe, filled plotholes, and made it a coherent universe. Zahn put such an emphasis on military tactics, warfare, etc, if one goes through the official guide to Star Wars star ships, one might note that Timothy Zahn seems to have created half of the ships. Even when George Lucas was busy destroying his own creation, Zahn kept it together the best he could, improving on every aspect. When Lucas went to the prequel-verse, Zahn followed, and improved on that, too. In fact, Zahn managed to make three novels out of a throwaway line in Heir to the Empire, about a ship called the Outbound Flight, which led to a novel set between episodes one and two, making the prequel universe enjoyable. In short, anything that Lucas did, Zahn could, and did, do better. Ironically, while the Heir to the Empire trio is the start of a lot of great Zahn Star Wars novels, it was also responsible for the resurgence of Star Wars‘ popularity … and Episodes I-III. Speaking of Zahn, now that I have potentially fanned the flames of nerd rage throughout the internet, Not too long ago, Timothy Zahn posted the following on his Facebook page. “Having now had a few days to process the news from LFL [Lucus Film Limited], a few thoughts …. as far as I can tell from the announcement, LFL is *not* erasing the EU, but simply making it clear that nothing there is official canon. That’s not necessarily a bad thing, nor does it immediately send everything into alternate-universe status. If nothing from the Thrawn Trilogy, say, is used in future movies (and if there’s nothing in the movies that contradicts it), then we can reasonably continue to assume that those events *did* happen…. [E]ven if something from the Thrawn Trilogy *does* show up in a movie in a different form, we authors are masters of spackle, back-fill, and hand-waving…. Spoken like a man of class, dignity, and reason. Or a man who doesn’t want to alienate the mouse. But, having met Zahn, I’m inclined to place bets on the former. This entry was posted in Analysis, Commentary, Fiction, Science Fiction and tagged Boba Fett, Disney, Emperor Palpatine, Expanded Universe, George Lucas, Grand Admiral Thrawn, Heir to the Empire, Luke Skywalker, Mara Jade, Rogue Squadron, Shadows of the Empire, Star Wars, Talon Karrde, The Truce at Bakura, Timothy Zahn, Wedge Antilles. Bookmark the permalink. Mind you, I actually liked the first four X-Wing novels. But it was more because X-Wing fighters are cool, especially to a teenager who’s memorized the movies and practically reads a book a day so gimme more I’m not done geeking out yet. That sort of thing. I also didn’t mind how the New Republic was realizing that fighting against a common enemy is easier to figure out than keeping things together afterward. The weakness was that the only person who got the politics to be interesting was Zahn. No one else managed it. Granted, except for Vonda McIntyre’s horrible, horrible attempt at Star Wars, every EU book I read did politics and culture better than the prequel trilogy. Even The New Rebellion and Planet of Twilight, which tells you something. So the political angle is a low bar. Still, Zahn did more with his mysterious spy in the halls of the Senate to paint a picture of political culture than anyone else did in whole novels. And that was just one factor, when he was forging completely new territory. No one was able to fill his shoes or take what he created and do it justice. Come on, the only other book to significantly feature Noghri characters was Planet of freakin’ Twilight? How do you fail so hard at using the Noghri? Only with talent, I assure you. As far as I’m concerned, any Star Wars timeline that doesn’t include Zahn’s stuff isn’t canon. The Holy Rodent Empire’s power only reaches so far.